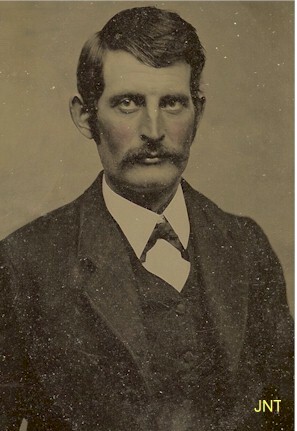 John Haywood Richmond and Andrew Wood Richmond were brothers who came to the area about the same time. 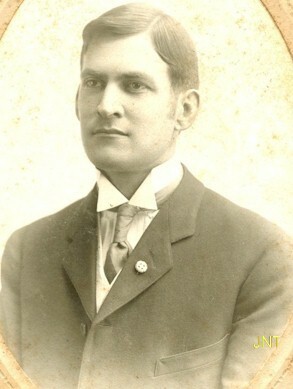 John Richmond ( 1850-1930) and Addie Jones Richmond (1855-1940) were early citizens of Bronaugh. Addie was a child of Louis and Salome (Miles) Jones who who lived near Moundville. 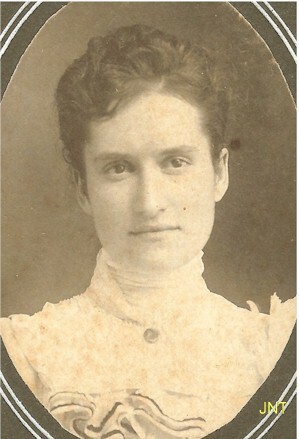 Addie was a sister of Hulda Jones Buford. John and Addie were the parents of two children, Callie and Claud. Betsy Scott says that according to records she has, John and Addie Richmond actually had three children; the third, Grace was born 9 Oct 1886 and died 21 Sept 1888. Baby Grace was buried in Worsley Cemetery at Bronaugh beside her parents. In 1930, Addie published a small book of poems and included a brief family history in it. The 1910 and 1920 Census records both show John and Allie living in Pittsburg, McAlester, OK but by 1930 were back in Bronaugh. 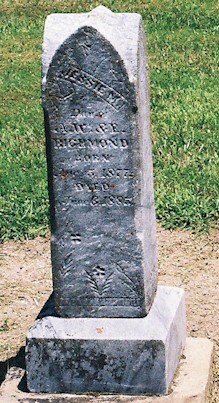 Worsley Cemetery has a burial for Grace R. Richmond, October 9, 1886 - September 21, 1888. 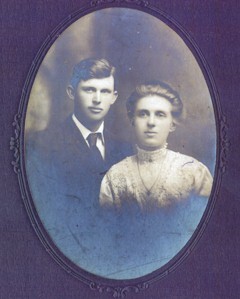 Parents John H. and Addie Jones Richmond. 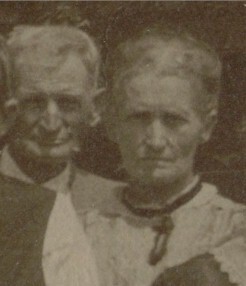 right: John and Addie Richmond from a Bronaugh Methodist Church group photo. This is from the February 18, 1920 Bronaugh Journal. 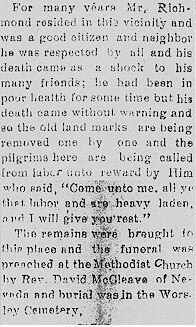 It tells about Andrew Wood Richmond and his wife Emma Skaggs. 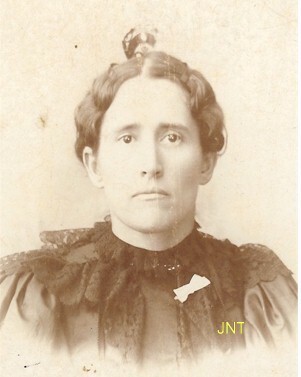 Rachel Emma Skaggs was a daughter of Vernon County pioneers James and Nancy Hale Skaggs. The two grave markers are in Moundville Cemetery for both daughters. left: Boyd and Goldie Richmond, brother and sister. By the 1930 census, Boyd was living in Kansas City and was listed as a widower. 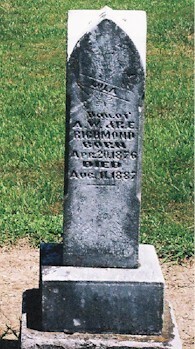 Andrew W. Richmond was buried at Worsley Cemetery. 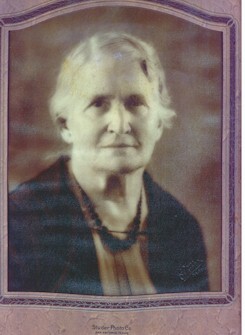 Emma Skaggs Richmond died in 1934 and was buried beside her husband. Nearby is Golda Richmond, 1882 - 1948. Boyd died in November 1968 in Denver according to Social Security records. If you have Richmond information to share or questions please email us.